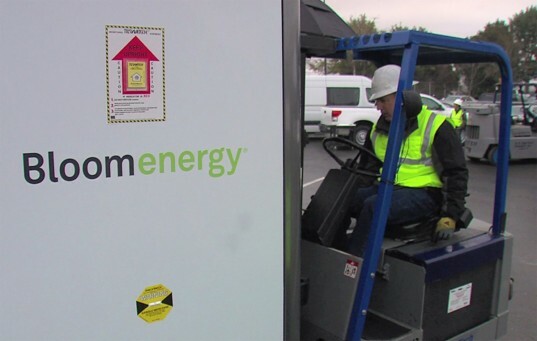 eBay recently announced that it’ll be teaming up with Bloom Energy as part of its “bold new vision for powering commerce with clean energy.” The online retail giant announced that it will be powering its flagship data center in Utah using a Bloom Energy fuel cell farm as its primary power source. eBay obviously needs a lot of energy to power its vast number of servers, so the fact that they are turning to a greener option than the predominately fossil fuel-powered electrical grid is a testament to how far clean energy has come. The partnership will see the construction of the country’s largest non-utility fuel cell installation which will incorporate 30 Bloom Energy servers into the data center’s energy architecture. Of course, in the case of an emergency, the national electric utility grid will be used as backup. The new data center will be powered by a 6 MW fuel cell farm which is expected to be fully operational by 2013. The 30 Bloom Energy servers will each generate 1.75 million kilowatt hours (kWh) of electricity annually, and will be installed on the grounds to eliminate traditional utility grid losses. The fuel cells will also be powered by biogas in order to make the whole system as green as possible. 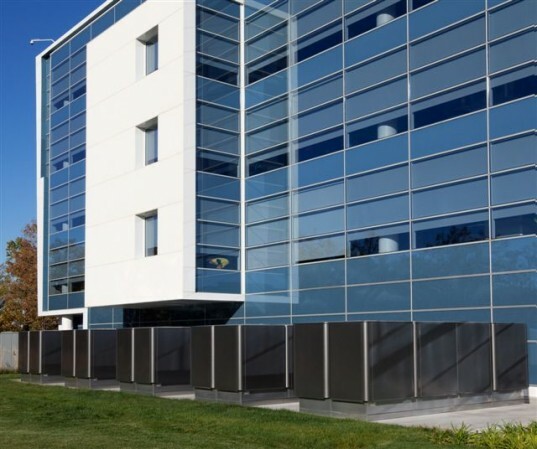 The new project will be eBay’s fifth and largest renewable energy installation following their 650 kilowatt (kW) solar array and a 500 kW Bloom fuel cell installation at its San Jose headquarters, a 100 kW solar array at its Denver data center and the recently installed 665 kW solar array atop its Utah data center. That's nice. Being one of the largest entities online, its good to see them switching to renewables. We can expect booming online expansions in the future, and renewable energy is the only way to power it. eBay recently announced that it'll be teaming up with Bloom Energy as part of its "bold new vision for powering commerce with clean energy." The online retail giant announced that it will be powering its flagship data center in Utah using a Bloom Energy fuel cell farm as its primary power source. eBay obviously needs a lot of energy to power its vast number of servers, so the fact that they are turning to a greener option than the predominately fossil fuel-powered electrical grid is a testament to how far clean energy has come.